・The bar is like the South France. ・You can see lots of French pictures and listen to calm jazz music. ・Also, once a month, we hold flute, violin and accordion concerts etc. There's no music charge but It's always nice to tip the musicians. 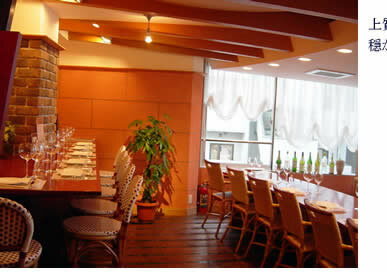 ・You can enjoy wine in a comfortable and relaxing atmosphere. 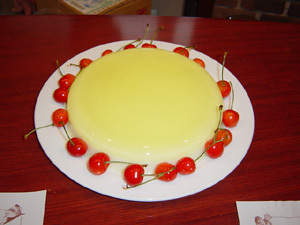 natural cheese and healthy food such as pasta. 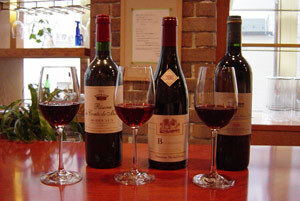 ・You can drink a glass of wine/ decanter of wine/ bottle of wine- You can choose ! *2008　Ｂｅａｕｊｏｌａｉｓ　Ｎｏｕｖｅａｕ　ｗｉｌｌ　ａｒｒｉｖｅ!! Let's enjoy Beaujolais Nouveau and celebrate. Junetsu Furuhashi will play tango music on the Bandoneon and talk about tango. WANTED:! !We need some musician who can bring musical instruments for the concert. We always have an auditions for the concert. Please e-mail Ms Inoue for the details. Why don't you work with us ? Please contact Ms.Inoue. I saw Guernica at the Prado Museum in Spain. I was so impressed with the picture. It moved me so much that tears trickled down my cheeks. I've never had such an experience. Since then I've been interested in Picasso and have seen a number of pictures. I deeply respect his way of life. I like art. I love seeing pictures - especially I love Picasso. 'Loving' means I hope everyone feels 'love' in the bar. 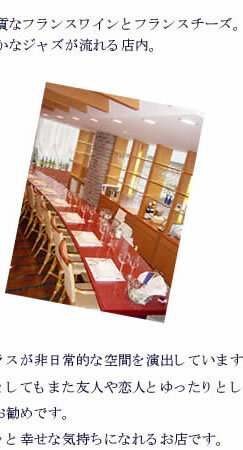 Why don't you come to our wine bar if you like wine , art and music or if you need time to relax? We are looking forward to meeting you with wonderful wine ＆cheese.